Why Do People Use Brown Pine? The oral preparations of Pinus massoniana (Pine Bark Powder) like pine bark extract, are used for the treatment of parasites of intestine and rheumatism. The pollen from brown pine has astringent and cardiac stimulant properties. The turpentine from the resin of all pine trees is diuretic, antiseptic, vermifuge and rubefacient. It is an effective treatment utilized internally in the treatment of bladder and kidney dysfunctions and is utilized both internally and as a steam and rub bath for the remedy of rheumatic affections. 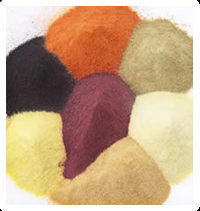 Brown pine bark powder is also very effective for human’s respiratory system and so is beneficial in treating diseases of the respiratory complaints and mucous membranes such as colds, coughs, TB and influenza complaints. Overall, it’s a very productive remedy for a number of skin complaints, sores, wounds, boils and burns etc. and is utilized in the form of poultices, liniment plasters, as inhalers and herbal steam baths. The wood of the stems is demulcent and carminative. The brown pine bark is vulnerary, parasiticidem and astringent. The root bark is tonic and astringent. OPCs has been widely tested for safety and are generally thought to be nontoxic. Side effects caused by the oral consumption of brown pine bark powder are nominal, but when they do occur they are limited to mild digestive distress and occasional allergic reactions. But, the maximum safe dosages for nursing women or pregnant, young children or those with serious kidney or liver disease have not been established. Pinus massoniana may have some anticoagulant activity when orally taken in high doses and should be utilized only after proper recommendation of a physician by individuals who are already on blood-thinner drugs. When taking heparin, Coumadin (warfarin), aspirin or Trental (pentoxifylline), excessive doses of OPCs may leads to high risk of excessive bleeding. How Effective Is Brown Pine? What Are The Side Effects /Adverse Reactions of Brown Pine? How Brown Pine Interacts With Other Herbs and Supplements? How Brown Pine Interacts With Drugs? How Brown Pine Interacts With Foods? How Brown Pine Interacts With Lab Tests? How Brown Pine Interacts With Diseases and Conditions? What Should Be the Dose/Administration of Brown Pine? ORAL consumption of brown pine bark powder as a general antioxidant, 50 mg of OPCs every day are considered safe. A high amount of dosage within the range of 150-300 mg every day is generally utilized for treating particular diseases such as varicose veins use smaller does of brown pine bark extract.